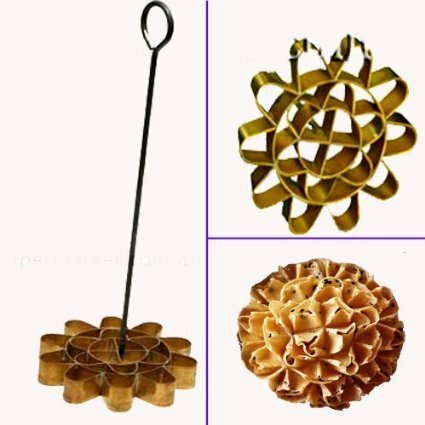 Funny Make Pretty Flower Cookie or Honeycomb Biscuit and Cracker Flower Mold. Thai Brass Mold like Sunflower Creates Biggest Size. Handle Made Of Lightly Iron Metal And The Top Built As A Ring Holder For Quick Portable. Popular Cooker For Creating Magic Thai Dessert (Dok Jok). If you have any questions about this product by GiveOrBuy, contact us by completing and submitting the form below. If you are looking for a specif part number, please include it with your message.